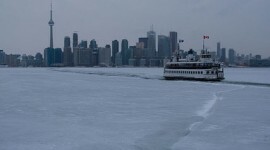 William Inglis makes her way through the frozen inner harbour, with the Toronto skyline as backdrop. 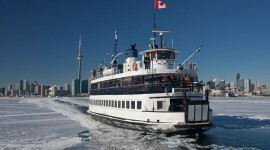 William Inglis sits in dock at Wards Island, the frozen lagoon visible in the foreground. 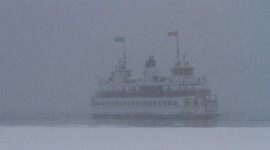 William Inglis makes her way through the frozen inner harbour, now completely covered in snow after a December blizzard. 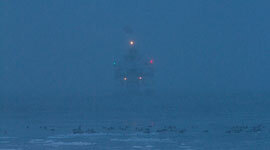 William Inglis, navigation lights ablaze, approaches Wards Island through snow, ice, and winter ducks. 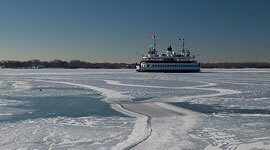 William Inglis skirts the edge of the ice, approaching Wards Island in driving snow. 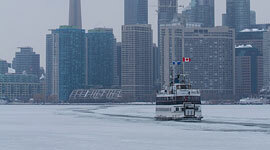 William Inglis approaches Wards Island through thickening ice in the frozen inner harbour. 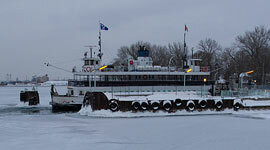 William Inglis approaches Wards Dock through a track kept open in the ice, as twilight settles over the skyline. 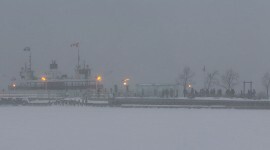 Passengers depart William Inglis at Wards Island dock in a driving blizzard. 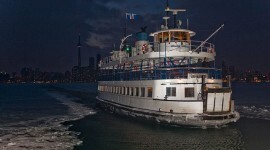 The lights on her second deck have been turned off to provide power to heaters in the wheelhouses, the William Inglis and her sisters were never designed to operate in winter. 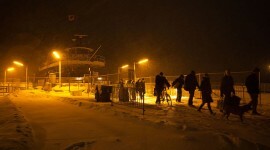 Passengers wait in the snow to board the ferry William Inglis. 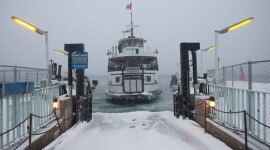 William Inglis slowly approaches Wards Island dock through accumulating ice, her bow adorned with icicles and snow. 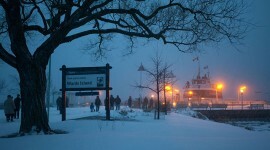 Islanders wait to board the William Inglis in a December snowfall. Click image to view larger. 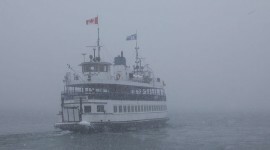 William Inglis sails into a blizzard, departing Wards Island dock at 11:45am.